We know that many of our clients are revving up and ready to hit the road this year. Stay active and keep on adventurin’, that’s what we always say. One of the coolest experiences you can have on a trip is a walking tour – it’s simple, doesn’t take too much time and effort, keeps your blood pumping, makes you feel energetic, and is a fantastic way to tour the city or countryside the way the locals do every day. Plus, you often get to see a side of the destination that many tourists don’t. Here are some of our favorite walking tour companies – call Willamette Intl Travel to book yours today. 503-224-0180 or email inquiry@wittravel.com. Walking in Venice: luxury tours focusing on history, art and photography with art aficionados to the Accademia, or the Ca’Rezzonico, or the Ca’Pesaro and Fortuny Museum. Discover Renaissance Venice at the height of its power. Spanish Trails: our in-country supplier for tours of Barcelona, Madrid and the Catalonian Coast. They offer small group walking tours in the city, wine tours in La Rioja region, or succulent food-tasting tours. Context Travel: Small group tours and private tours in many cities around the world, from Edinburgh, Budapest and Istanbul to Philadelphia, Shanghai and Rio de Janeiro. Spend the day with a local historian or scholar who will enchant you with their in-depth knowledge. Chocolatine: How can we forget lovely France. Chocolatine provides a wealth of fun private walking tours (including those hard-to-find tickets to exclusive Parisian events!) all around Paris, Provence, Normandy and throughout. Adrienne & Renato: Adrienne & Renato are a husband-wife team, she from Portland and he from Naples. With their team of local guides they can arrange everything from private Pompeii tours to dinners in the Tuscan countryside. Their services include close, personal attention illuminated by a background in art history and mythology. Art Tours by Amy / Mountain Hiking Holidays: It seems every time we check in with these folks, Amy and John Osaki have something new and exciting up their sleeves. Amy organizes the art tours in Europe and Asia, and John heads the mountain hiking trips all across the globe. Look for the next trip to explore the heritage of Japan, November 2018. Marissa: Marissa is a one-of-a-kind one-woman operation in Buenos Aires. She’s organized tailor-made tours in and around the city for more than a decade — we highly recommend her if you’re in town! Sherpa Expeditions: Looking for a multiday challenge? these folks curated self-guided walking and cycling trips throughout the United Kingdom and Europe. They supply you with the itineraries, some of the gear, and hand-picked B&Bs and inns to give you that small-town feel! This is the time to book travel to Southeast Asia, for travel in November to March as the dry and temperate season rolls in, and the Chinese New Year seems to awake everyone up out of their wintry reverie. We’re excited to be working with Avanti Destinations as one of our reputable tour guides in Asia. Avanti makes it simple to book hotel, transport and tour packages with local guides, and their customizable itineraries just shave off the hassle of travel planning. Let Willamette Intl Travel design Asian itinerary for you and your travel companions, complete with flights and a personalized package. Whether you need an affordable hotel package, or would like to build in some unique culinary or outdoor escapades, Avanti offers a hassle-free way to build it into your existing Asian itinerary. Want to leave it to the professionals? Avanti can take care of you from the moment you step off the plane to your last spectacular evening in Asia. Thailand: Discover the “Land of Smiles” on the bustling streets of Bangkok, to the famous temples of Chiang Mai, to the achingly gorgeous beaches of Phuket. China: As part of an Asian cruise, spend 1-3 nights post-cruise in Hong Kong exploring Kowloon. Or build in a stop at the ancient port city of Shanghai, now one of the most technologically advanced cosmopolises in the world. 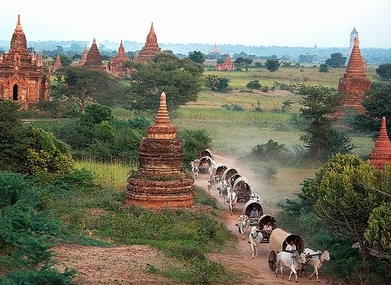 Myanmar: Looking to explore the blooming country of Myanmar? Go back in time to a simpler Asia with Avanti’s Myanmar Essentials: Yangon, Bagan and Manadalay. Singapore: Explore Singapore Highlights, such as Kampong Glam, Chinatown, Majestic Gardens and Little India, experiencing a one-of-a-kind after dark wildlife safari adventure–on your way to connect to Bali. Taiwan: Uncover the sleeping, hidden gems of Taiwan, its ornate temples, beautiful lakes and stays in the countryside. River Cruises: Enjoy ancient waterways with a Mekong River Cruise, Halong Bay Cruise or Yangtze Upstream Cruise. And Many More Destinations: Japan, Philippines, Cambodia, Laos, Indonesia, etc. Our Agents at Willamette Intl Travel can design your Asian adventure from start to finish. Call us 503-224-0180 or email info@wittravel.com. Vietnam is a gorgeous country, an absolute paradise for photographers. Several award-winning photographers are based in Vietnam these days: Ehrin Macksey, Réhahn, Quinn Ryan Mattingly, plus many more. Its landscapes and cities speak to the heart and the eye in an inviting and unflinching way. Willamette Intl Travel is proud to have sent countless of our clients to discover Vietnam for themselves. We can arrange travel for you and your family with knowledgeable guides, on eye-opening trips to temples, rice paddies and old world streets. Plus, who can resist a cooking class for spicy spring rolls in Old Saigon? Call us to find out more: 503-224-0180. A bilingual photobook, Huế – The City of Crying Stones, was published last week in Paris and features 200 bw and color photos of Huế, Vietnam’s capital in the years from 1802 to 1945. Also, check this article out on local street photography in Hanoi. Thinking about a Spring getaway to Vietnam? February and March are some of the best months to travel to this unique and flavorful country. In Fall, too: the mid-autumn festival Tet is one you’ll be talking about for years to come. 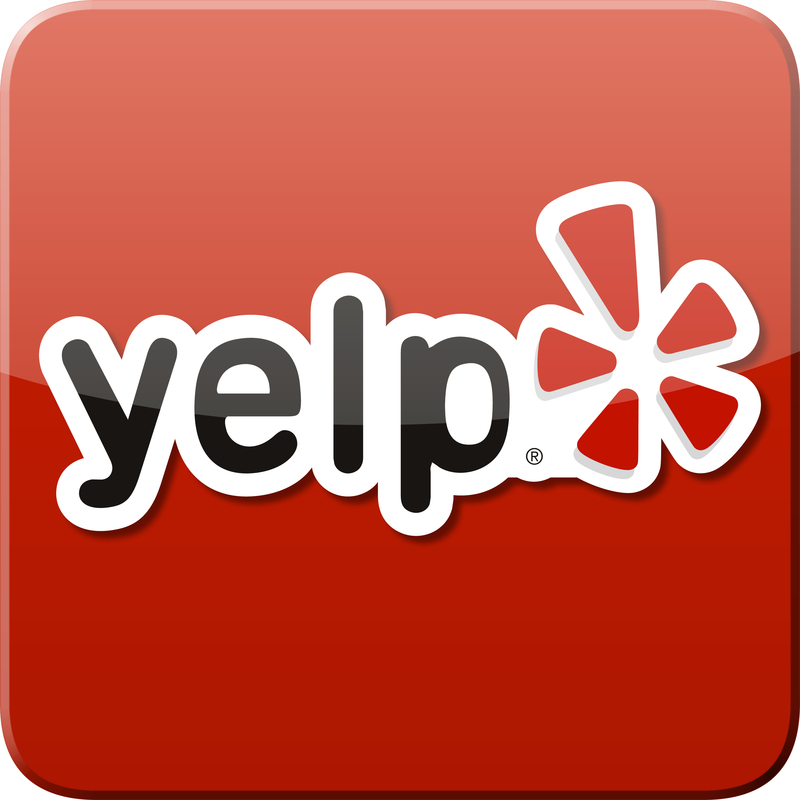 Call us up for a chat! 503-224-0180 or email info@wittravel.com. Bangkok has officially overtaken London as the World’s Most Popular Destination! This according to Mastercard’s annual Global Destinations Cities Index. The capital of Thailand is expected to welcome 21.47 million international visitors this year. This is nearly twice the local population of 10 million! It has been named the “Word’s Best City” by Travel + Leisure. London falls in a close second with 19.88 million, and Paris in third with 18.03 million. There’s just no beating a fascinating city like Bangkok, what with its colorful markets, accessible temples, affordable day trips, amazing food, friendly locals and budget shopping centers. In Thailand, you definitely get your bang for your buck. Elsewhere in Asia, the cities of Osaka, Dubai, Singapore and Seoul are also growing steadily in terms of tourism. We look forward to seeing who’s on the top list next year. In other news: Happy Columbus Day in the USA, and Happy Thanksgiving Day to our Canadian neighbors! Our Agents at Willamette Intl Travel would love to arrange an unforgettable trip to Thailand and SE Asia for you. Call us 503-224-0180 or email info@wittravel.com. We recommend Vexplore Travel to our clients heading to SE Asia looking for unique, personalized and down-to-earth trips. Vexplore provides everything from cultural culinary packages to golf getaways to adventures off the beaten path. WIT Blogger Wailana went on a trip with Vexplore last year, and attests to the friendly and professional service from their team. Her 9-day trip took her to Bangkok, the night market at Chiang Mai, peaceful Luang Prabang and the diverse villages along the Mekong. Email her at wailanak@wittravel.com for more information about this region and all Vexplore has to offer. Check out her photos from the trip in our Gallery: Thailand and Laos. Marvel at Myanmar’s spectacular monuments, including thousand year stupas and pagodas. Browse local markets, trek through villages and sail overnight in Inle Lake. Discover the rich history of this country, just blossoming into its own. Embark on an adventure of a lifetime and learn how to scuba in Vietnam. When you’re not touring the cities for some rich cultural sightseeing, you’re swimming, jet skiing, windsurfing and scuba diving at the laid-back, white-sand city of Nha Trang. Uncertified and certified divers both welcome. This trip’s all about the food—explore Vietnam’s rich culinary traditions while sightseeing in Vietnam’s main cities. Cooking opportunities await you at Hoi An’s Red Bridge cooking school. You’ll purchase your own ingredients at the local market and learn from expert chefs. At Cai Be on the Mekong you’ll visit the floating market, learn about traditional candy-making, and sample local favorites like rice paper, coconut candy and popped-rice cake. 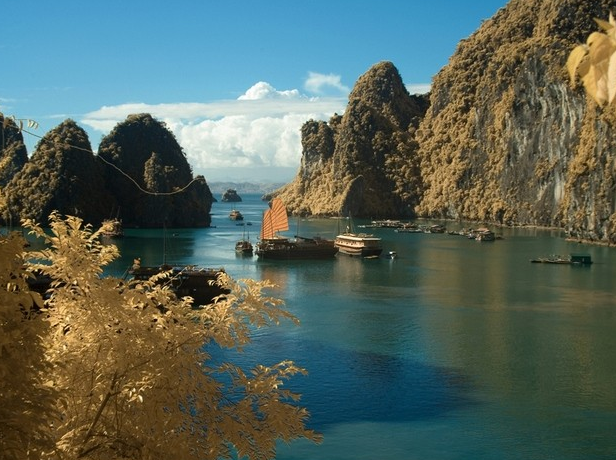 And of course—the junk cruise on Halong Bay is not to be missed! Call your agent at Willamette Intl Travel to find out more about unique trips to SE Asia. Contact 503-224-0180 or email info@wittravel.com.